No one was aboard at the time of the casualty. The E L Dwyer was valued at $4,500 and had no insurance. EAGLE (1932) The small two masted schooner Eagle was lost in 1932 off of Cape Nord. The Eclipse was valued at $8,000 and had 200 tons or $4,000 worth of lumber and general merchandise aboard bound for Nome from Seattle. The crew of eight survived the wreck but the Eclipse and her cargo were lost. The vessel was not insured but the cargo had a $2,500 policy. EDITH THOMAS (1900) The tug Edith Thomas was lost on the Nome beach in a violent storm that struck the lower Norton Sound area the second week of September 1900. The U S Revenue Service Records have the tugs Edith Thomas and Islam both lost two days into the storm on the 14th of September. EL SUENO (1903) The 23 ton steamer El Sueno foundered off of Nome December 31, 1903 and became a total loss. ELECTRA (1863) The 348 ton whaling ship Electra was lost July 14, 1863 on Nunivak Island. She had departed New London August 5, 1862 for a whaling voyage in the arctic. The 52 year old vessel was carrying her catch of whale oil and bone when lost. The Eliza had 50 tons of whale bone and oil worth $15,000 aboard, and the vessel was listed as worth the same amount, neither insured. 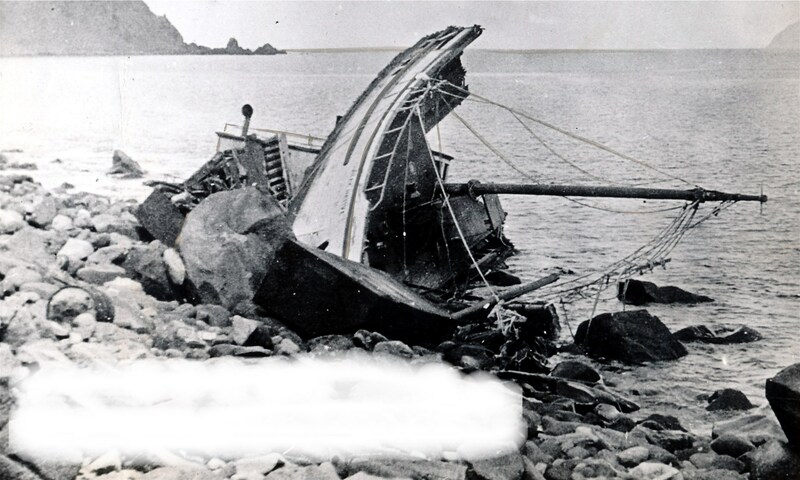 The Eliza had a compliment of 35 officers and crew and all survived. EMILY F WHITMAN (1912) The schooner Emily F Whitman was lost at Nushagak in 1912. EMMONAK (1974) The fish processing barge Emmonak broke away from her moorings and sank July 29, 1974 approximately 25 miles off of the coast near Savoonga.